Will Morris has been at Elders since February 2009 and has sold over 450+ properties in that time and counting. He has won awards each year within the Elders company from Rookie of the year in 2010 to a consistent ‘Elite’ Salesperson Ranking each year putting him in the top 5% of agents in Elders Australia Wide. His expertise in sales spreads across all market segments from Rural, Residential, Commercial and also holds an Auctioneers License. 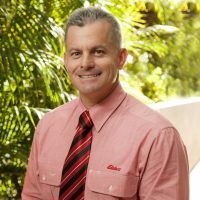 Will has lived in the district for the past 30 years including Nungarin and Merredin. Will learnt his negotiation and sales trade earlier in his career in the Agricultural Industry dealing with farm machinery sales and people management. He is no stranger to working with clients and has an excellent rapor in dealing with them. He has two sons with wife Gemma and is well established in the local community including many sporting groups. Will’s interests include football, cricket, golf, basketball, gardening, fishing and much more. Will is heavily involved in the running of various junior and senior sporting clubs and is an active participant in the community. Will brings to Elders a wealth of experience and enthusiasm. Elders Real Estate WA – Elite Sales Performer 2013, 2014, 2015, 2016. Elders Real Estate WA – No. 1 Residential Salesperson 2015, No. 2 Residential Salesperson 2016 WA & National. Would you like to speak to Will? If you’re thinking about renting or selling your property and you’d like a clearer picture of how much your property might be worth or want to have an informal chat about general property market trading conditions, Will will be happy to arrange a full market appraisal of your property.